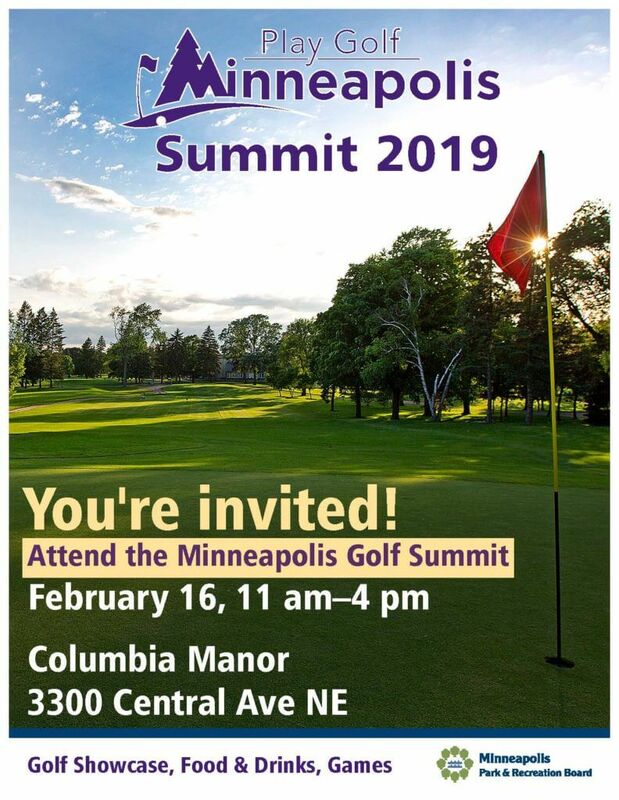 Join us on Saturday, February 16 from 11 am to 4 pm for the first Play Golf Minneapolis Golf Summit! Find out what’s new at each of our seven Play Golf Minneapolis courses, including information about lessons, leagues and men’s clubs / golf clubs. Register for the 2019 league season (including non-returning league golfers). Purchase a 2019 Player’s Card (formerly known as a Patron Card), season pass, and we pay the tax! We’ll also pay the tax on all league registrations! Offer valid at the Summit only! Check out the latest lifestyle golf apparel from Swannies. Chip and putt for a chance to spin the prize wheel. Learn about personalized golf club fitting from Ultimate Fit Golf. Register for a chance to win prizes. Saturday, Feb. 16, 11 am to 4 pm.